Hot cross buns are an Easter institution and so popular that they seem to be back on shelves earlier every year. In 2013, Eternity writer Kaley Payne was so struck by public debates about hot cross buns that she investigated the hidden history of these Easter offerings. An outcry from Tasmanian priest, Father Tony Kennedy about the increasingly early sale of hot cross buns (now in stores from January) prompted this Eternity writer to investigate the myths and truths on the place of the hot cross bun in Christian history. Though I’ve been a Christian for quite some time, it never even occurred to me that the cross on the bun could be anything other than a decoration, an adornment. Quite the contrary, according to Father Tony Kennedy, a Tasmanian priest who decried the encroaching commercialisation of Easter’s traditional symbols. He claimed the hot cross bun had lost much of its religious significance because of its availability outside the Easter season. “Woolworths should remove the cross and sell them as buns, and put it [the cross] back on Good Friday,” Father Kennedy told The Hobart Mercury, after observing the first hot cross buns were on sale in early January. Father Kennedy said hot cross buns were originally eaten on Good Friday to remind people of the day Jesus died on the cross. 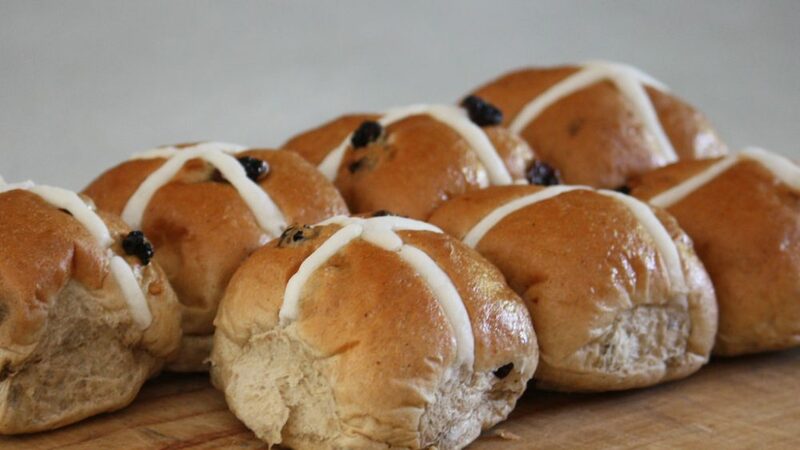 But Murdoch University’s Associate Professor of Church History, Rowan Strong, says the origins of the hot cross bun, or “cross buns”, as he calls them (history suggests they weren’t always hot) are “shrouded in mystery”. “Protestant reformers in England disliked the practice. For them, it was associated with Catholic superstition.” Strong says the practice of eating hot cross buns was prolific enough to warrant Elizabeth I’s government to legislate that bakers could only make them at Easter and Christmas. Revd Dr Andrew McGowan, Warden of Trinity College at The University of Melbourne, says the history of the hot cross bun, or at least the cross-shaped marking, could go even further back, to Ancient Rome. But he agrees with Professor Strong, averring that the origin of the modern hot cross bun is most clearly seen in medieval times. McGowan says the addition of a cross to these buns is not attested until the 1700s, when the term “cross bun” was first recorded, though the decoration may have been added before then. It appears then that the hot cross bun as we know and eat it today emerged in England only a few hundred years ago. So what’s all the fuss about? Are hot cross buns still religious symbols that should only be eaten on Good Friday? Strong says the hot cross bun has travelled a familiar path into secular culture, so much that we have lost any genuine or conscious connection with the historical Christian purpose or reference. “Cross buns were definitely a part of the customs by which Christian beliefs entered into the homes and domestic cultures of Christians through the Middle Ages, so that Christianity was not just something that happened in church, but was part of a living Christian culture, associated with the round of the Christian year and the sacred seasons. “There are other examples of this too – fish on Fridays, pancakes on Shrove Tuesday. But these customs underwent a massive reduction in the Reformation, as they were labelled superstitious by the reformers. Philosopher John Armstrong wrote an article in The Conversation about Easter’s fall from grace. In it he suggests Christians haven’t just lost the religious significance of the hot cross bun, but that Easter itself has been commercialised, but commercialised with consent. “It’s not that chocolate manufacturers have taken something that everyone cherished and (behind our backs) turned it into a cash-cow,” says Armstrong. Armstrong argues that Easter (or at least the Christian celebration of Easter) hasn’t been able to find a strong enough market in a modern, secular society, to muster its own commercialisation of the religious holiday. Does that mean Christians haven’t fought hard enough to keep the hot cross bun as a religious symbol? Or to keep other non-religious symbols — Easter eggs, bunny rabbits — out of the equation? Strong says Christians, now a minority, won’t be able to stop the secularisation of Easter in society. “There are clearly many, many Australians who are happy to buy and eat hot cross buns other than just on Good Friday. I think Christians have to adjust to the fact that most of the prevailing culture makes little or no concessions to Christian beliefs. 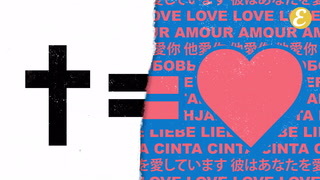 We would be better off developing our own counter-cultural way of life.